The Erudite Book Club is for those who love to read. We will pick a book or book series monthly for each of the club members to read and you can share your own reviews of the book. We will also tell you how to find free eBooks that you may enjoy! Want to know what books are hot right now? In our book club, we'll only pick books that are current hot sellers or have sequels or movies coming out around the current month. You'll also be able to preview new books for free periodically and let the author know what you think of them! To join the Erudite Book Club, all you have to do is "Like" our Facebook page! We will post the book of the month choices and once you've read the book, you can write your own review and read the opinions of others. Follow the link below to get to our Facebook page. Pretty soon we will be picking the first book of the month and it will be featured right here! Check out our Facebook page for a section where you can recommend the books that you want to be featured! Periodically, we'll post links to Amazon when we find good books that are free! These books will be in the Amazon Kindle format. If you don't have a Kindle, don't worry. You can download one for free for many devices (see below). 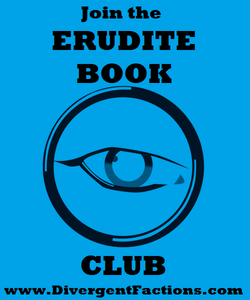 Be sure to check out our blog, Erudite Book Club, to see if any new free books are available!